Click on the calendar to view events from prior months and remember to check back here often! 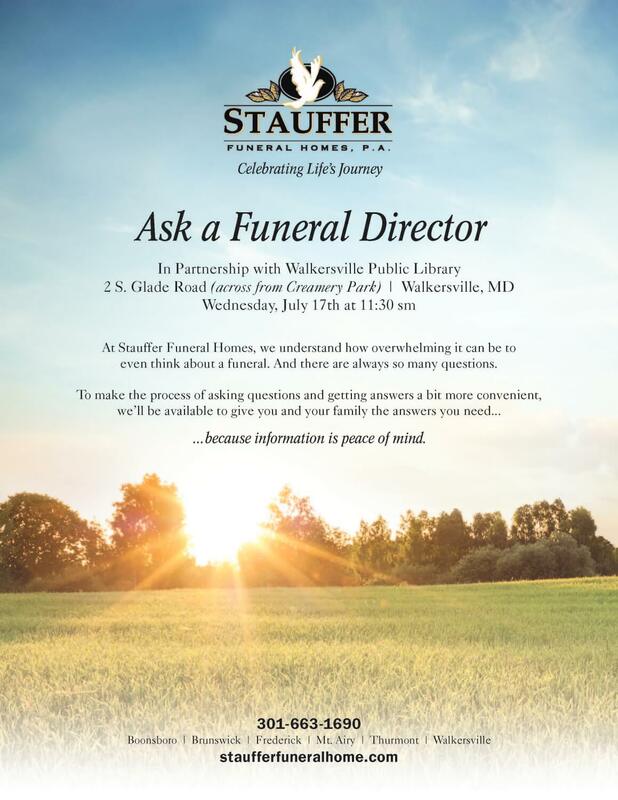 in partnership with Hospice of Frederick County. 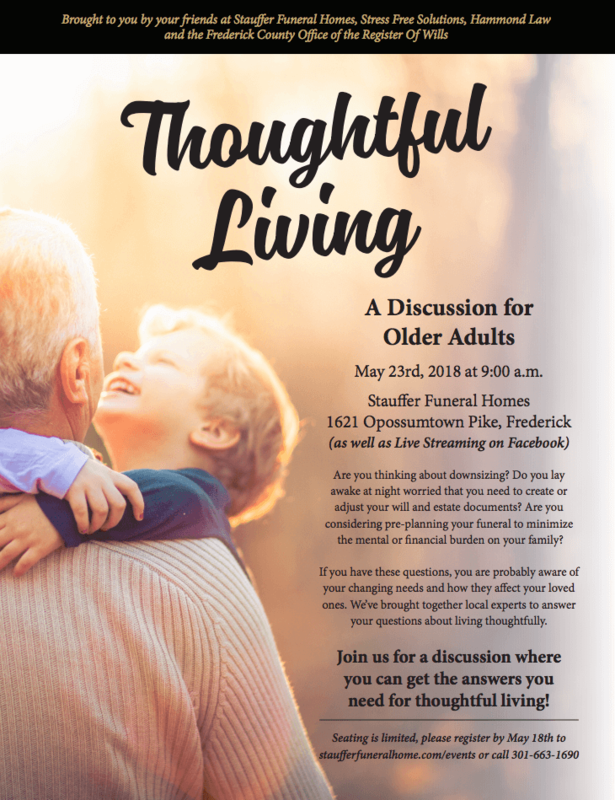 May 23rd, 2018 at 9:00 a.m.
Join us for a discussion where you can get the answers you need for thoughtful living! Click the graphic above to see the larger version. 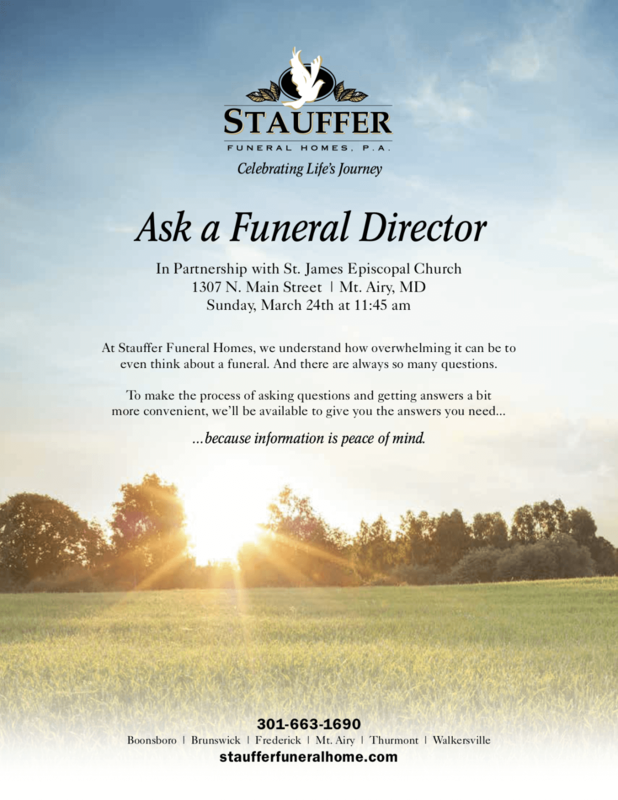 April 2nd, 2018 from 6:00 to 8:00 p.m.
February 2nd, 2018 at 10:30 am. 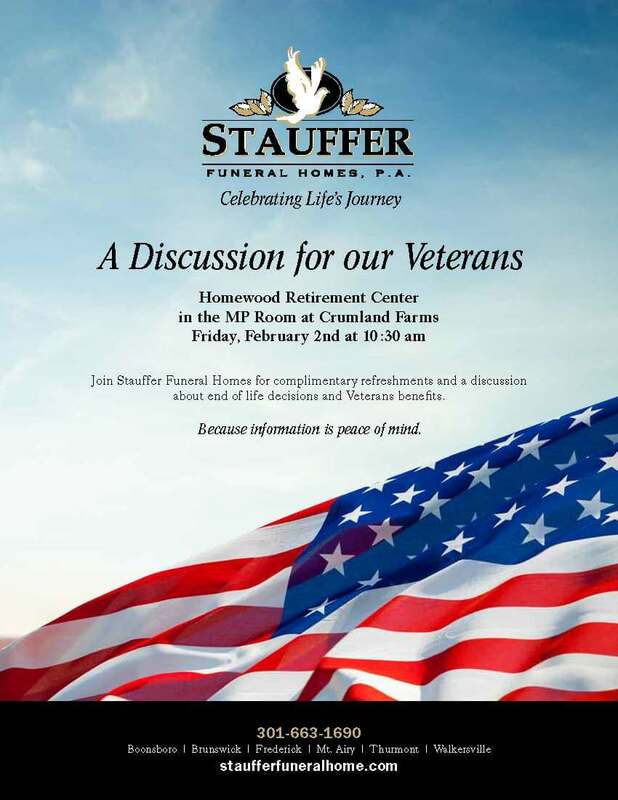 Join Stauffer Funeral Homes for complimentary refreshments and a discussion about end of life decisions and Veteran Benefits. 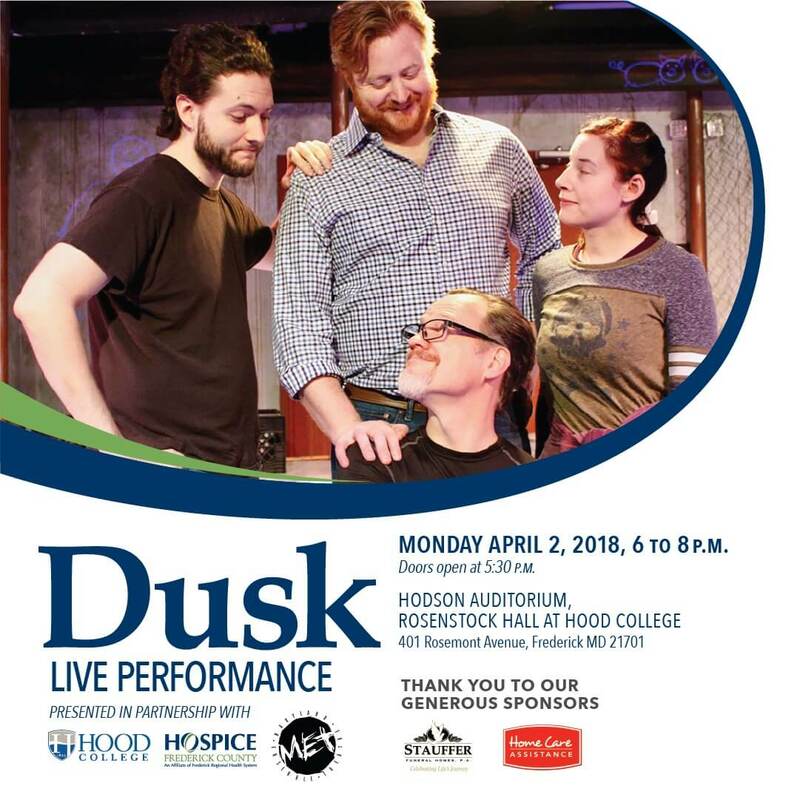 Presented in partnership with Hood College and Hospice of Frederick County. Stauffer Funeral Homes is proud to be a primary sponsor for "Dusk". This theatrical performance and discussion is meant to help open up the lines of communication on end of life issues. We are honored to present the 2017 Champions Award to Judy Lancaster for her outstanding contributions to the Alzheimer's Association at this year's Annual Luncheon. November 8th, 2017 at 2:00 pm. 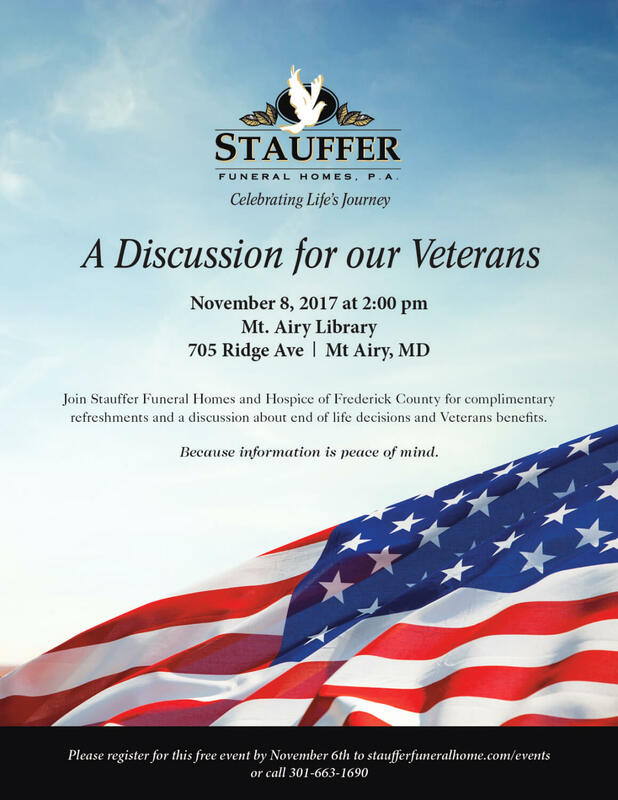 Join Stauffer Funeral Homes and Hospice of Frederick County for complimentary refreshments and a discussion about end of life decisions and Veterans benefits. Because information is peace of mind. Are you thinking about downsizing? Do you lay awake at night worried that you need to create or adjust your will and estate documents? Are you considering pre-planning your funeral to minimize the mental or financial burden on your family? If you have these questions, you are probably aware of your changing needs and how they affect your loved ones. 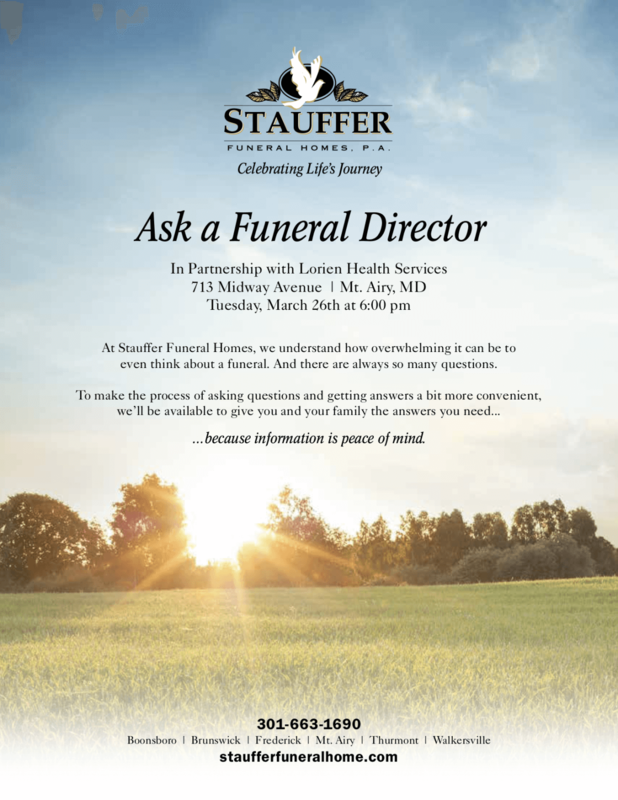 We’ve brought together local experts to answer your questions about living thoughtfully. Join us for a complimentary breakfast and discussion where you can get the answers you need for thoughtful living! 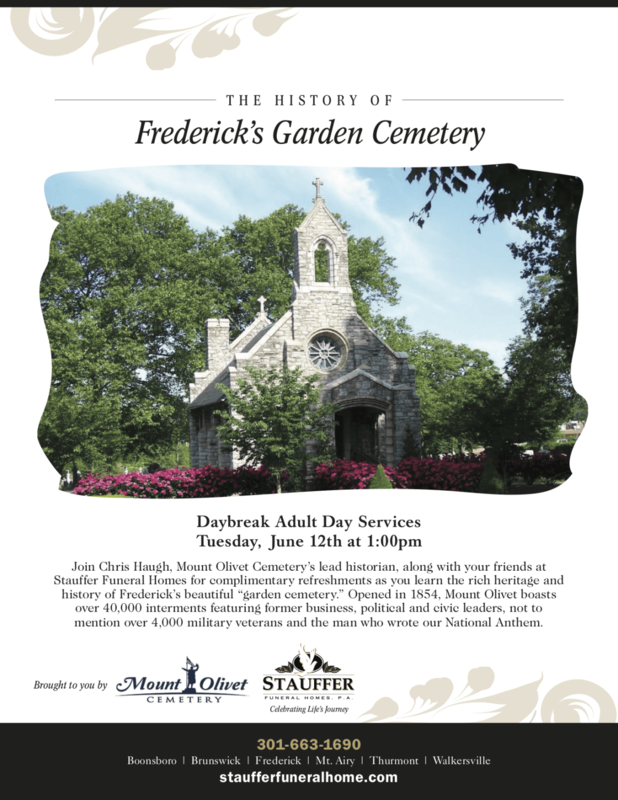 Stauffer Funeral Homes is proud to be part of the largest business trade show in Frederick County. 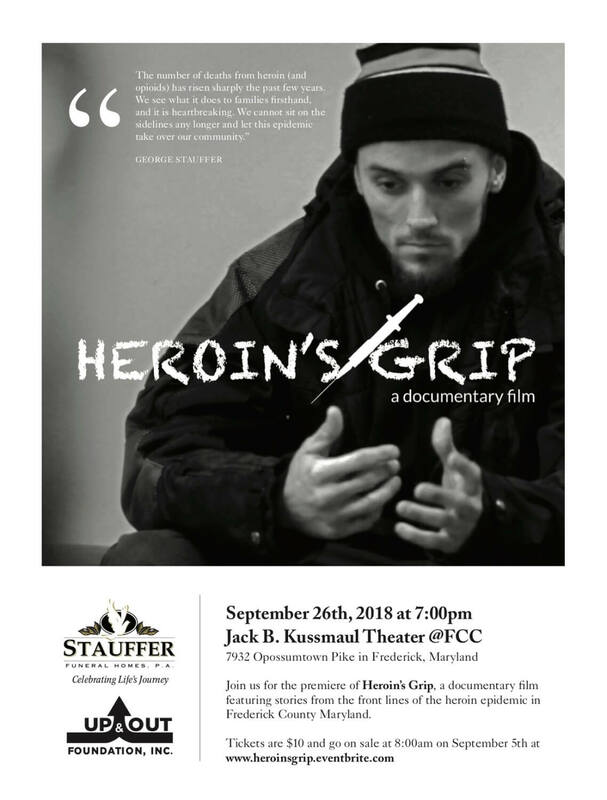 Stop by our booth and say "hello" on the 25th. 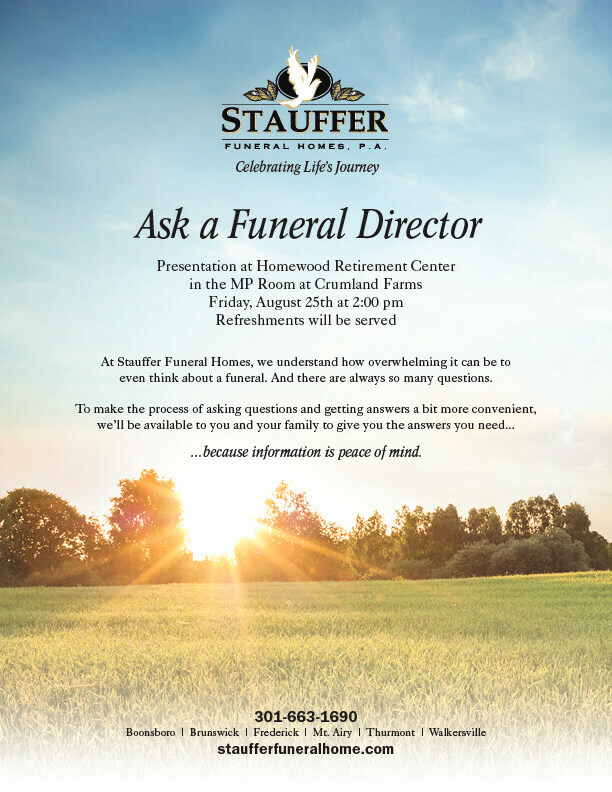 At Stauffer Funeral Homes, we understand how overwhelming it can be to even think about a funeral. And there are always so many questions. …because information is peace of mind.